Maj. Gen. Peggy Poore took command of the Air Force Personnel Center in an Aug. 1 ceremony at Joint Base San Antonio-Randolph. Poore succeeds Maj. Gen. A.J. Stewart, who led AFPC for three years and will retire today after 32 years of service. Poore, who is AFPC’s 25th commander, now leads more than 3,600 airmen, civilians, and contractors responsible for personnel operations across the Air Force. Poore was previously senior military assistant to the secretary of the Air Force. 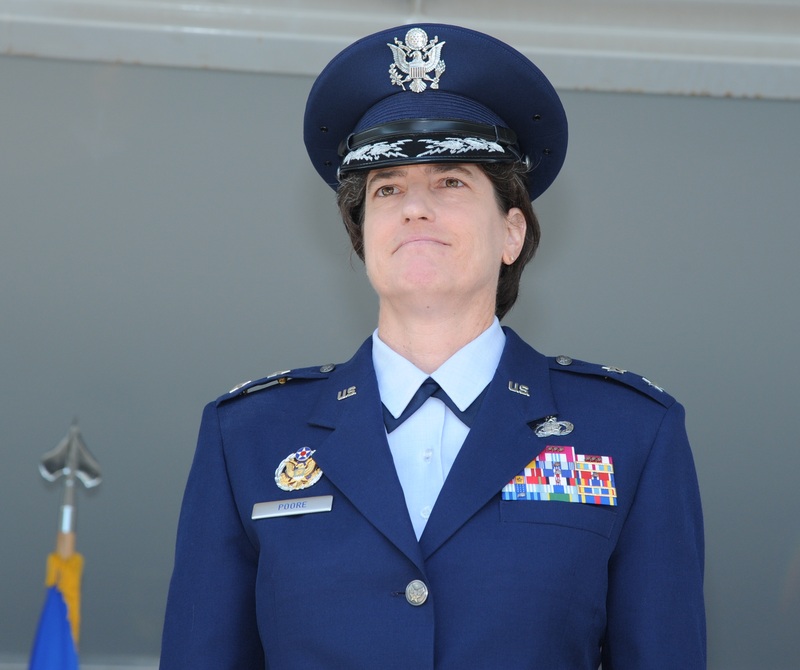 She has also served as an executive officer, protocol officer and squadron section commander, and has been a congressional liaison officer in the Air Force secretary’s Office of Legislative Liaison.